When you look around your room you will probably find cds, movies, textbooks, video games and even electronics that you are not using. These items are not only taking up space they are losing their value every day you keep them. You don’t have to lose out on money because Amazon has a great program available that will pay you for your stuff. It is that easy and simple and before long you will have less clutter and more money. 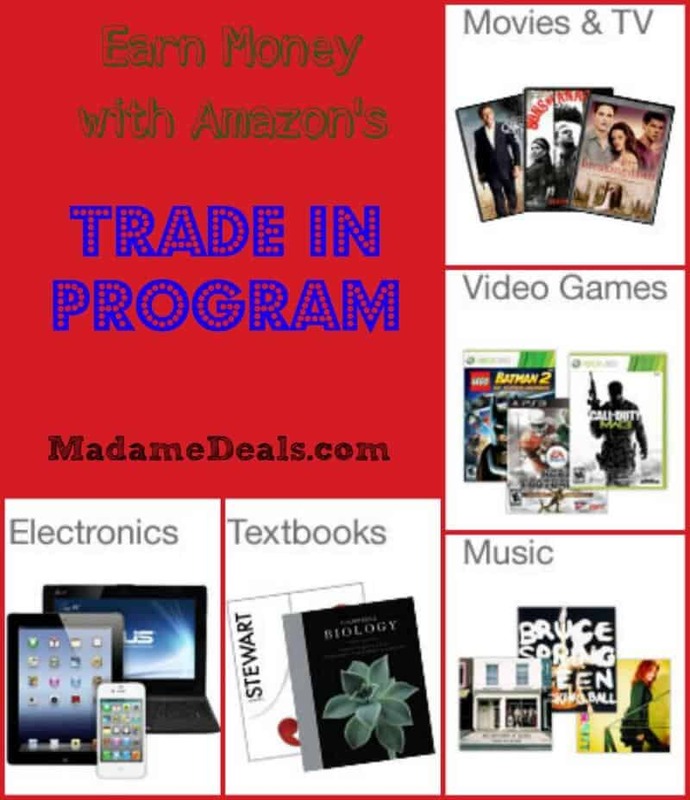 Currently Amazon Trade In Program is accepting Trade Ins on TextBooks, Music, Electronics, Movies and TV, and Video Games. Check out these current trade in values on these popular back to school items. Find out More about the Amazon Trade in Program! Find out how you can save on Textbooks with Amazon. Check out these Top Tips to Save on Dorm Living.